Spare, spare and defend your creatures, Lord our God. 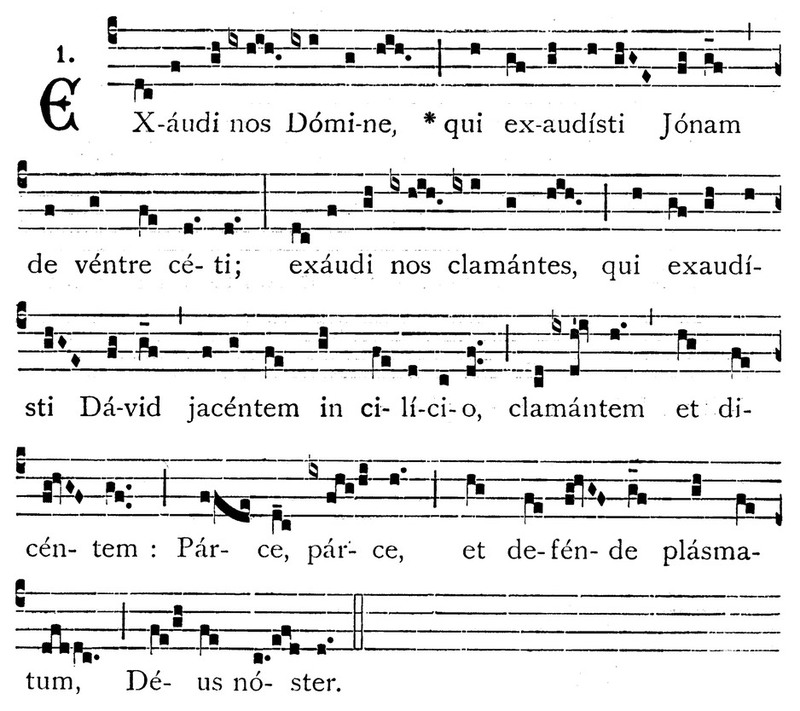 This chant was originally sung as a processional during the ceremony of imposition of ashes on Ash Wednesday. 1Note: The above music is from the Cantus Selecti (Abbaye Saint-Pierre Solesmes, 1949, page 52) which is in public domain and may purchased at solesmes.com .